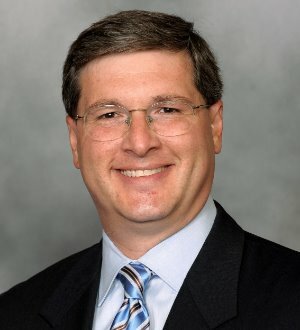 Mike Angelides is the managing shareholder of Simmons Hanly Conroy LLC, overseeing the firm’s asbestos and mesothelioma, pharmaceutical injury, consumer protection, environmental law, personal injury practices. Since joining the firm, Mike has continued to grow the firm’s reputation as a national leader in asbestos litigation, representing victims of mesothelioma against some of the largest companies in the nation. As a leader in asbestos litigation, Mike has presented at both of the profession’s leading asbestos litigation conferences, Mealey’s and PALS. He has seen the firm expand from 7 to almost 70 attorneys and grown to accept more asbestos cases on an annual basis than any other firm in the country. Yet, through a proven business method, those cases receive dedicated individual attention unavailable at most firms. “I’m proud of the fact that no one helps as many mesothelioma victims as the firm does on an annual basis,” Mike said. He has also been instrumental in the growth of the firm’s pharmaceutical injury, intellectual property and commercial litigation practices. The firm now holds national litigation leadership positions related to the Yaz/Yasmin birth control recall, the popular smoking cessation drug Chantix and the DePuy ASR hip implant recalls. The firm’s pharmaceutical attorneys have recovered millions of dollars on behalf of consumers throughout the country who were injured due to dangerous drugs and defective medical devices. In 2010, the firm’s commercial litigation department demonstrated the benefit of contingent-fee arrangements in commercial cases when it successfully negotiated a resolution for over 30 million dollars in an antitrust case. The victory garnered national media attention including publication in Forbes Magazine. Mike does not stop fighting for the firm’s clients when they leave the courtroom. He is a passionate advocate for worker and consumer rights. “I’ve learned that many large companies will stop at nothing to cover up their wrongdoings and avoid taking responsibility for their actions,” Mike said. Mike levies the firm’s resources to benefit leading mesothelioma nonprofits, such as the Mesothelioma Applied Research Foundation, the Asbestos Disease Awareness Organization, and Miles for Meso 5K Races. These groups work toward improving public awareness about the dangers of asbestos, securing legislation that would totally ban this dangerous dust and raising research funds to help find a mesothelioma cure. The firm recently donated $2 million to the Simmons Mesothelioma Foundation, a charity dedicated to working with mesothelioma medical experts, researchers, hospitals and universities with the hope of hastening a cure. “Supporting the Simmons Mesothelioma Foundation was a new idea that made substantial contributions to mesothelioma research and has set an example that is matched by no one in the (law) industry,” Mike said. After graduating with honors from Kenyon College in Ohio, Mike enrolled in St. Louis University’s Law School. After law school, he worked for Judge Paul J. Simon on the Missouri Court of Appeals, Eastern District of Missouri. It was here he realized he wanted to be the kind of lawyer who made a difference in the lives of individuals and families. That meant becoming a plaintiff’s attorney. In 2001, Mike left his private practice to become the firm’s seventh asbestos attorney, and in 2009, he became a member of the firm’s leadership committee. In 2010, Mike was recognized by the St. Louis Business Journal as one of St. Louis’s 40 Under 40. The award honors 40 early achievers based on achievements in the awardees’ careers and work in the St. Louis community. Mike recently received an AV rating from Martindale-Hubbell. An AV rating, which identifies a lawyer with very high to preeminent legal ability, is a prestigious peer-reviewed analysis of Mike’s expertise, experience, integrity and overall professional excellence.